Mumbai-based car servicing startup Carcrew Technology Pvt. Ltd has acquired Delhi-based ClickGarage in a stock-and-cash deal, a top executive at Carcrew told TechCircle. ClickGarage, run by Sui Generis Innovations Pvt. Ltd, was launched in 2015. It is a branded network of standardised workshops to provide car services. It has 12 to 15 employees and all of them will join Carcrew. “This (buyout) would help us to focus on doorstep services with combined geographical presence across Mumbai, Pune and Delhi-NCR and consecutively scale to other cities,” said Vikul Goyal, co-founder and chief executive of Carcrew. He didn’t disclose the deal amount. Goyal said the company aims to build a pan-India network of workshops and equip them with high-end technology infrastructure, standardised processes and spare parts supply. ClickGarage was founded by Bhuvan Batra and Shashwat Yadav. Batra has been a founding member of a non-government organisation called Connect and is an engineering graduate from the University Institute of Engineering and Technology, Kurukshetra. Yadav is an alumnus of the Indian Institute of Technology, Delhi, and has worked at data analytics firm Fractal Analytics. Carcrew was co-founded by Goyal and Vikram Sharma. Prior to starting Carcrew, Goyal worked as the head of strategy at ethnic products marketplace Craftsvilla and also invested in self-drive car rental startup JustRide. Sharma was previously managing director at furniture firm BP Ergo Ltd, and also worked with Tata Motors and McKinsey & Co. In November 2016, Carcrew had raised angel funding of $500,000 (Rs 3.4 crore then) led by two-wheeler maker TVS group. Carcrew partners with taxi and leasing firms across Mumbai, Pune and Delhi for providing vehicle maintenance and fleet management services. The average ticket size of the service is between Rs 4,000 and Rs 5,000. It also claims to have ride-hailing firms Ola, Uber and car rental startup Zoomcar as clients. New Delhi-based legal advisory firm Burgeon Bizsupport represented Carcrew in the deal. 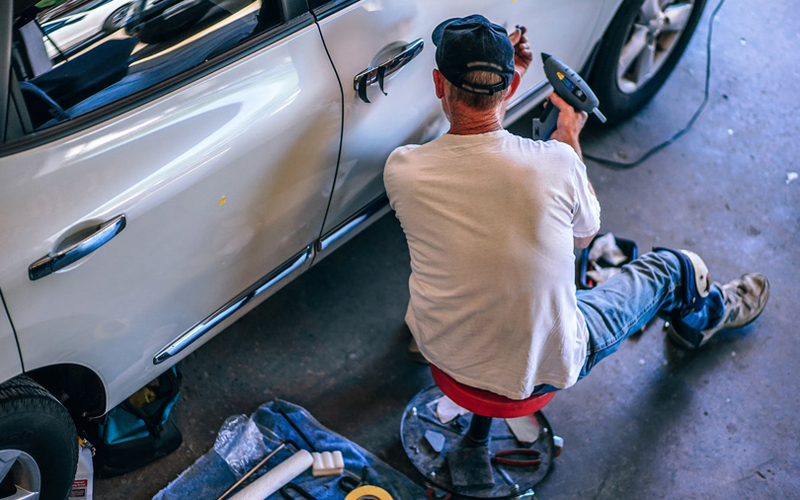 In a similar segment, Gurgaon-based automobile servicing platform GoMechanic had agreed to acquire car servicing and repair startup VOW CarClinic, VCCircle reported in December last year. A couple of other two- and four-wheeler servicing startups have raised funding in recent months. In October last year, two-wheeler servicing startup Let’s Service secured pre-Series A funding from aerospace components maker Aequs Group. The month before, after-sales car service provider Pitstop raised $1 million in a pre-Series A round from Blume Ventures, Singapore-based Goldbell Group and some angel investors.